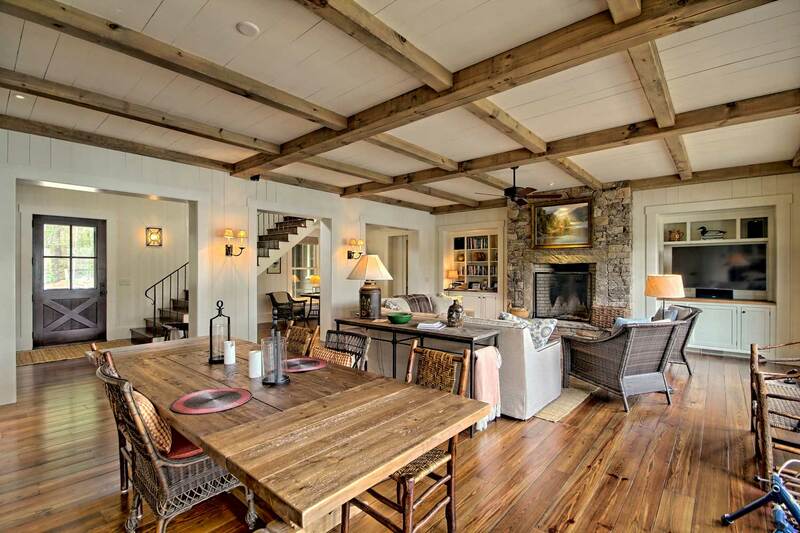 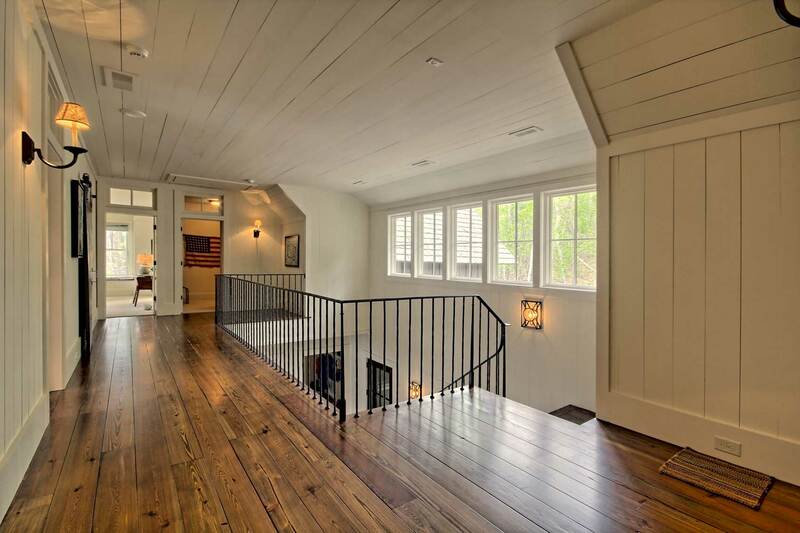 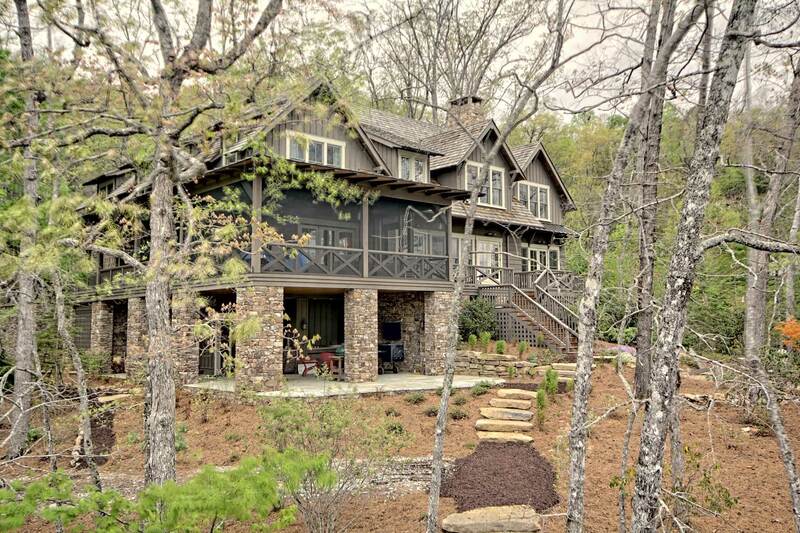 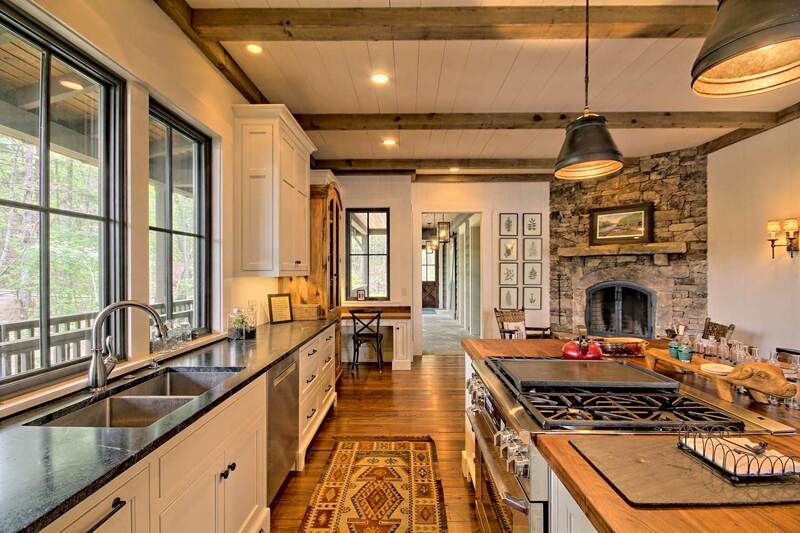 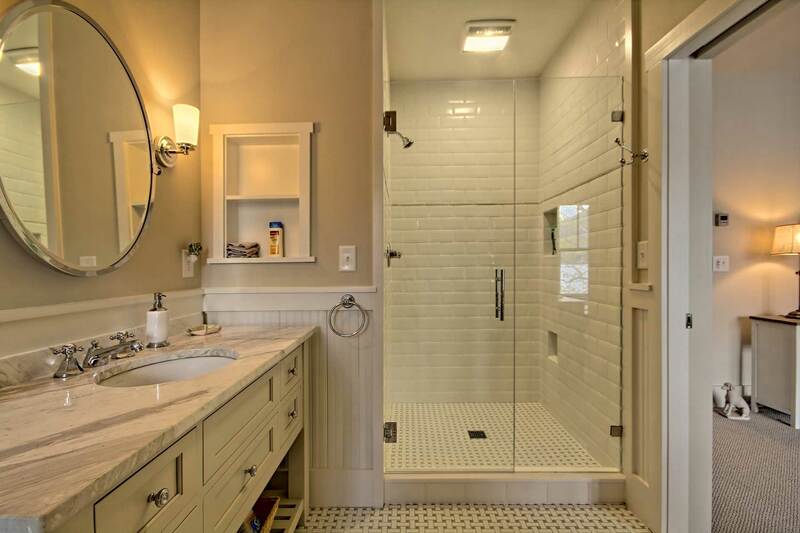 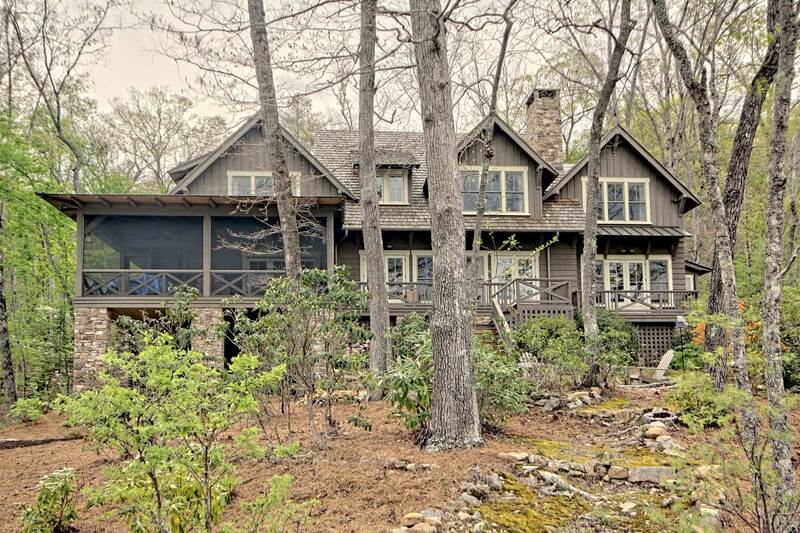 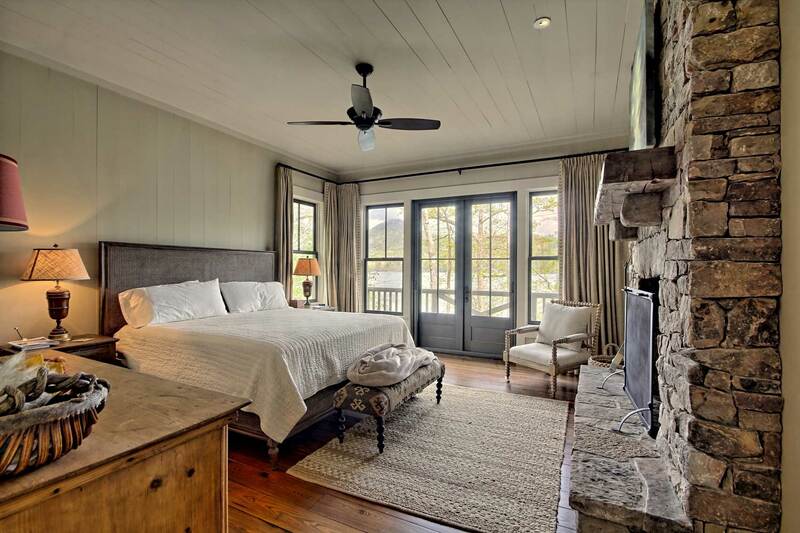 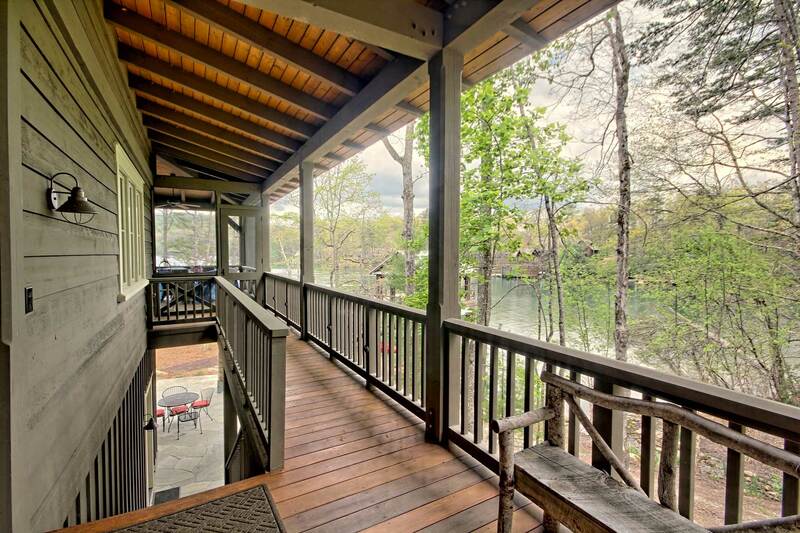 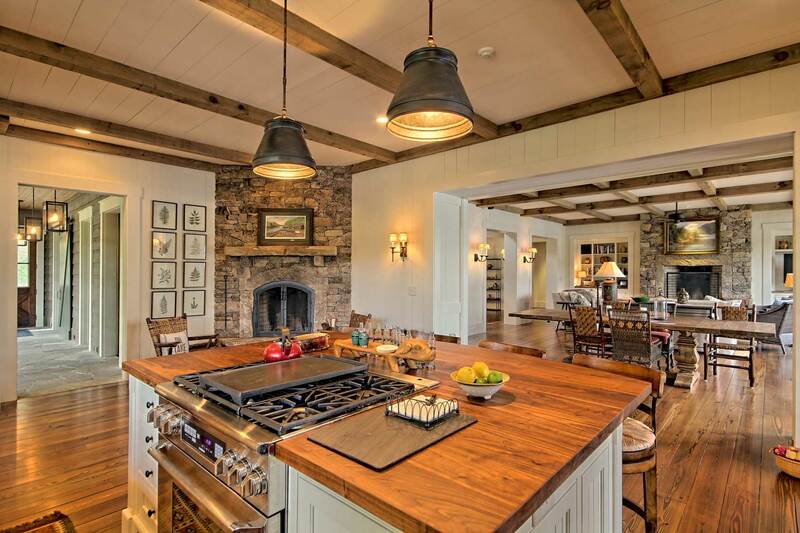 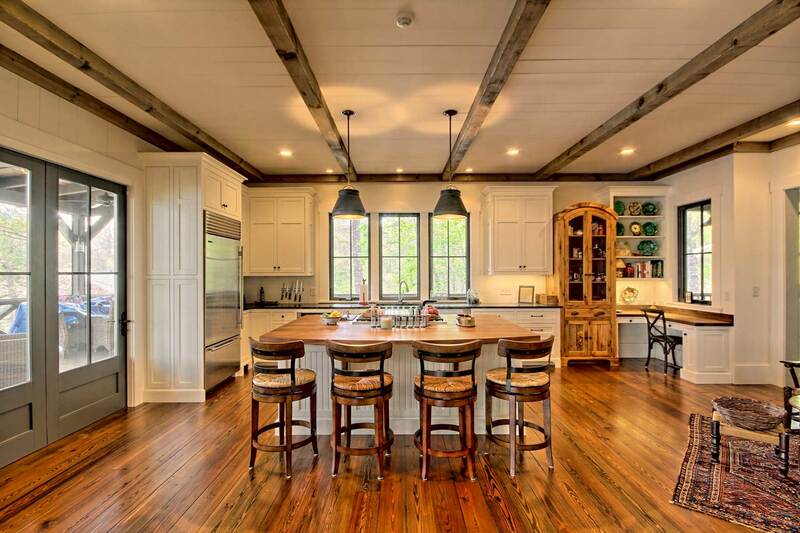 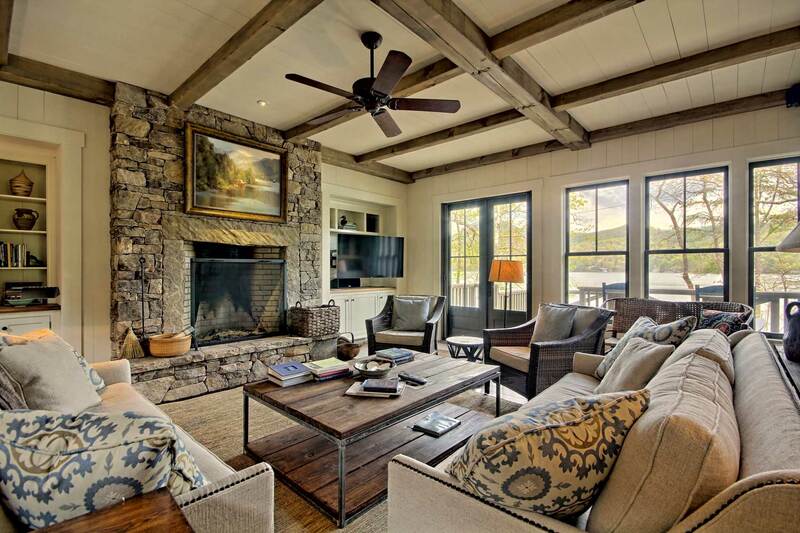 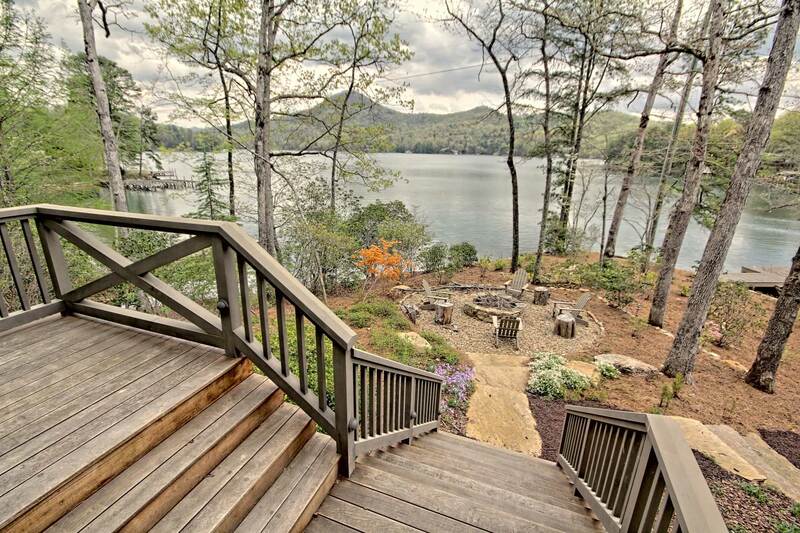 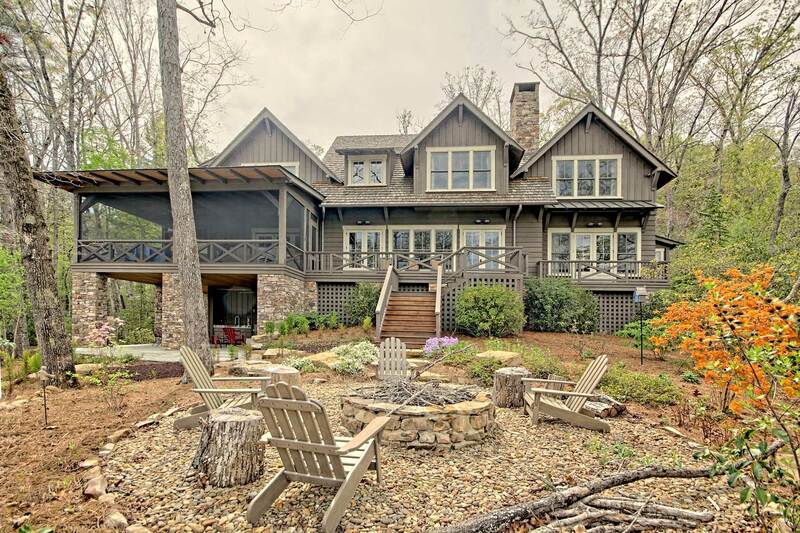 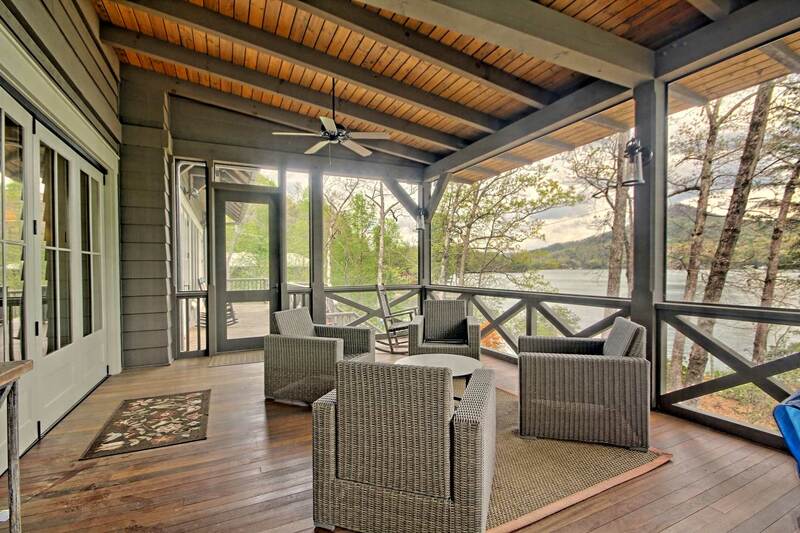 This rambling Lake Burton Cottage was designed to blend into the wooded lake front property. 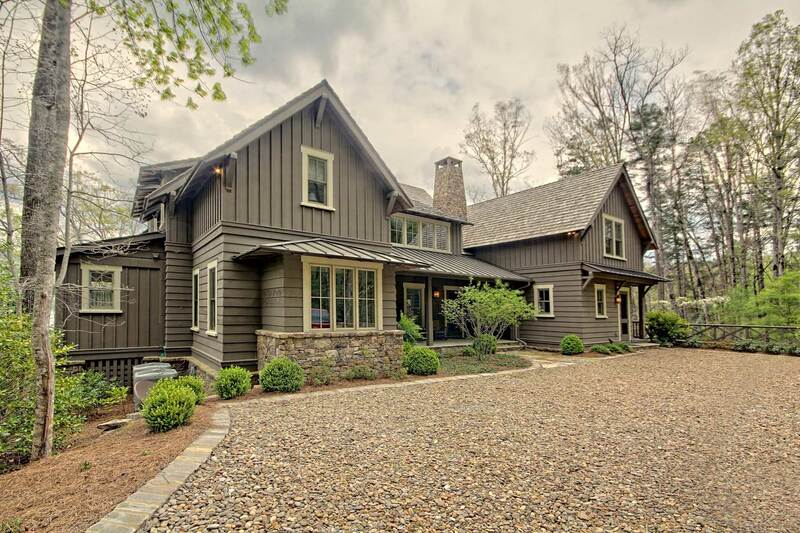 The siting of and approach to the house, the story and half cedar shake roof line, color pallet and materials nestle the new home in and among the existing trees and landscape. 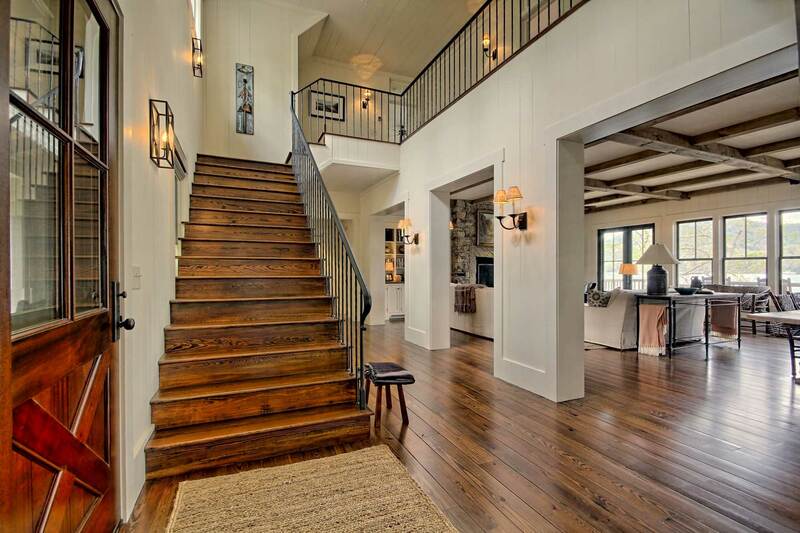 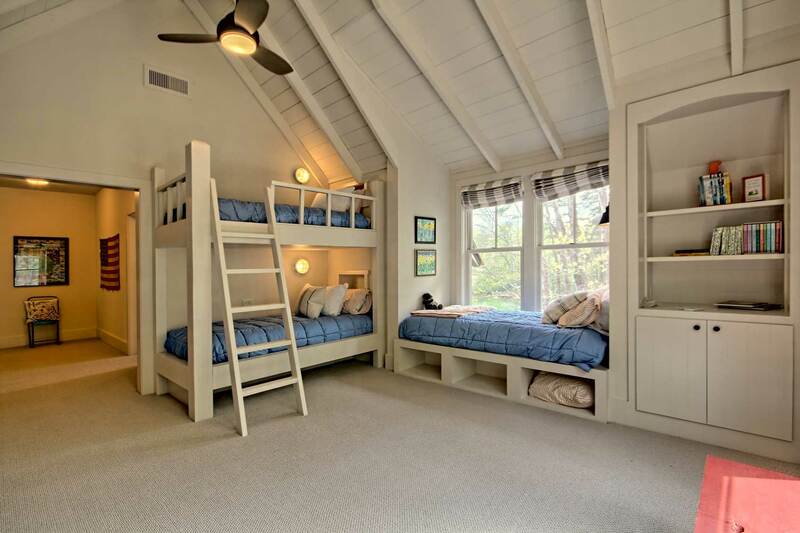 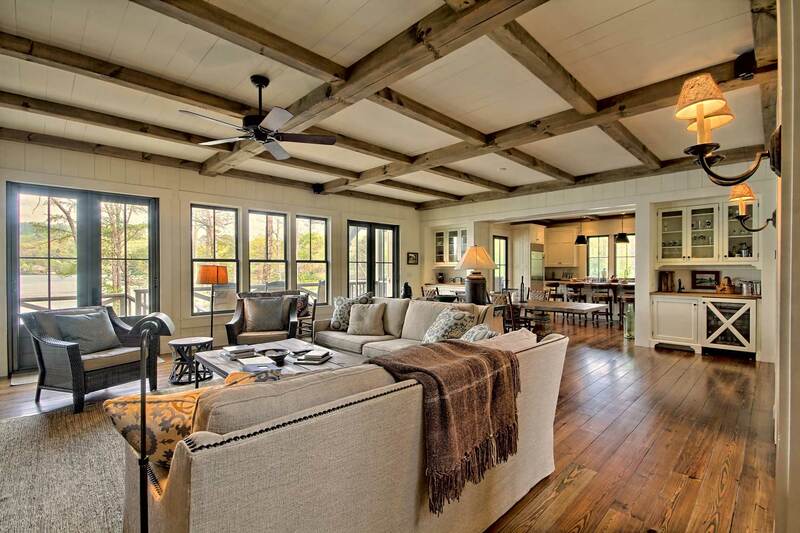 Large windows and openness of the floor plan, bring the surrounding woods into the home. 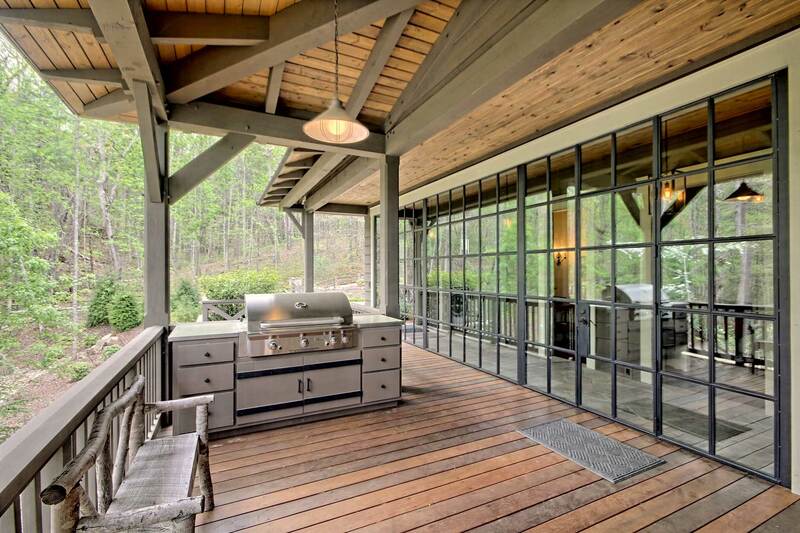 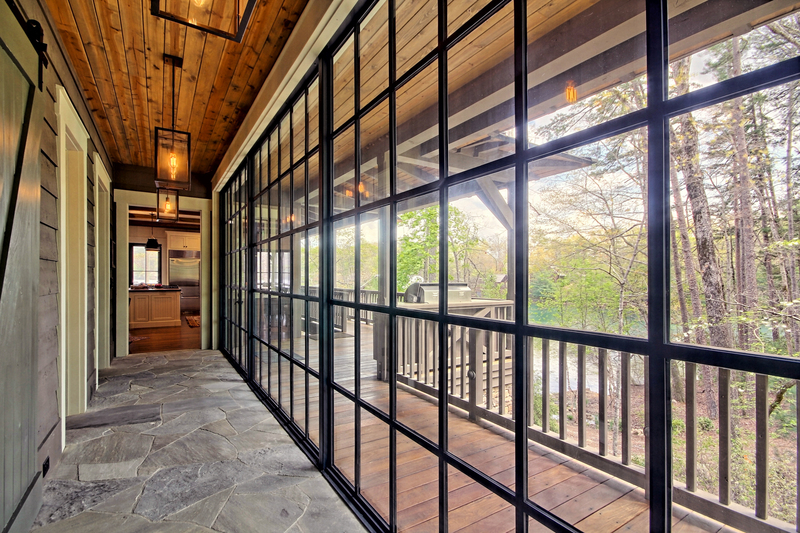 The large wall of steel windows gives the owners a view of the forest they enter the home. 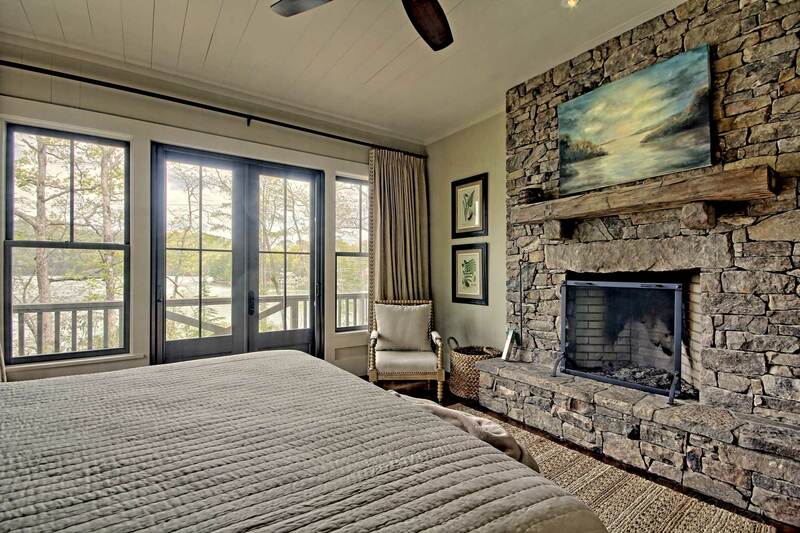 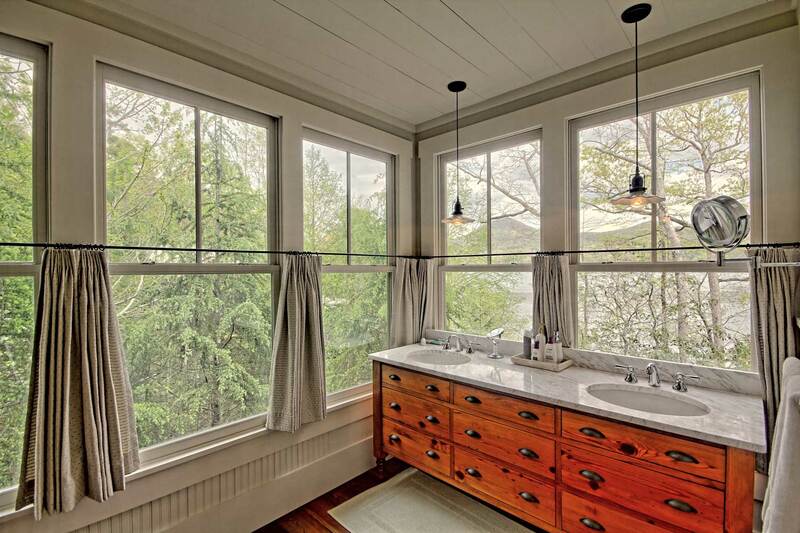 The wall of windows in the master bath gives the owners a special and unimpeded view of the lake and Charlie Mountain beyond. 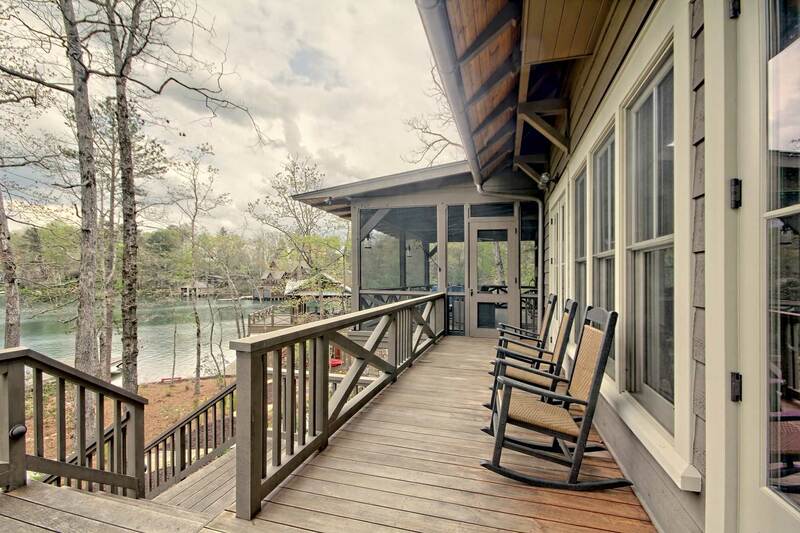 The screened porch practically floats in the tree canopy and intimate sitting areas placed around the home with views of the lake and landscape give ample opportunity for reading nooks and quite conversation. 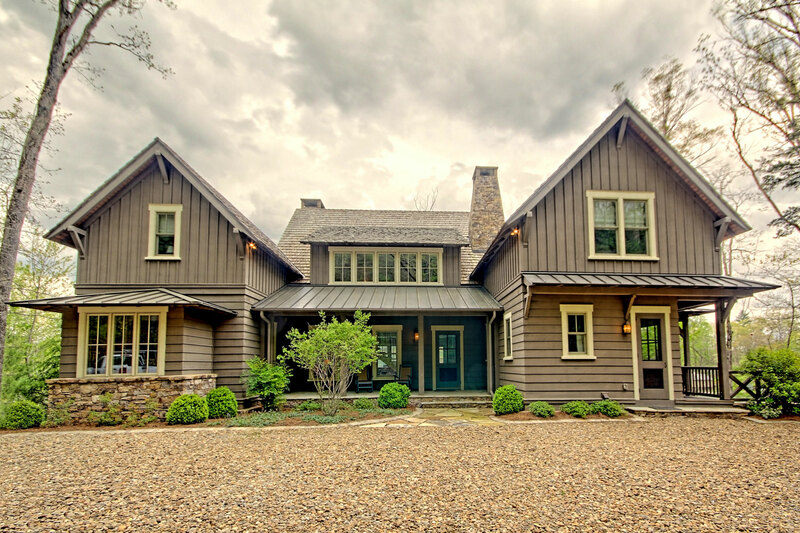 The exterior has a sense symmetry, but intentional breaks in the design allow for different roof lines and window placement that take advantage of the asymmetrical natural environment in which the home sits.